We've talked about some nominees for the Tony Awards, but with the big night airing this coming Sunday evening, it's time for some predictions. I and fellow TFI contributor Andrea will choose who we think will win this year's awards. To keep things simpler (and because we're better-versed in it) we will be sticking to the musical theater awards, but there are many plays that are also nominated. There were lots of great shows this year, which makes the choosing harder. From what I've seen, most of the musicals are quite innovative and entertaining and offer something special. Bethany's Prediction: Natasha, Pierre, and the Great Comet of 1812. I'm being unoriginal and choosing this show because I see it as a favorite to win. It leads nominations this year, similar to smash-hit Hamilton from last awards season. Come from Away might be a wild card with its message and emotional core. Andrea's Prediction: Come from Away or Dear Evan Hansen. DEH is super popular, but the other is also getting great reviews and is about 9/11, so I can see it going either way. Bethany: Hello, Dolly! It's getting the biggest buzz (though no official show clips have been released yet) and is a true classic. Falsettos could win, but I think it's a slim shot. Andrea: I want it to be Hello, Dolly!, but I think it will be Falsettos. Bethany: It's gotta be Ben Platt in his role as Evan Hansen. Each of the nominees are wonderful performers, but from all I've seen and researched, Platt has something special and delves into his character every performance in a way that is baffling. Andrea: I think it'll be either Christian Borle (for Falsettos) or Ben Platt. Bethany: Lots of great talent here, but it's probably going to be Bette Midler (for Hello, Dolly!) on this one. She's 71 and a lead in a Broadway musical. Wow! Andrea: It'll be Patti LuPone (for War Paint) or Bette Midler. Bethany: I gotta go with Gavin Creel for his portrayal of Cornelius in Hello, Dolly! I think Andrew Rannells (Falsettos) may have a shot as well, with Mike Faist (Dear Evan Hansen) and Lucas Steele (Great Comet) as wild cards. Andrea: I think they'll go with either Gavin, Mike, or Andrew. Gavin and Andrew are super popular, and Mike has been getting a lot of attention for his role as Connor in Dear Evan Hansen. Bethany: I'm going to go out on a limb and say Jenn Colella from Come from Away. The performers in that show have the daunting task of playing multiple roles. Stephanie J. 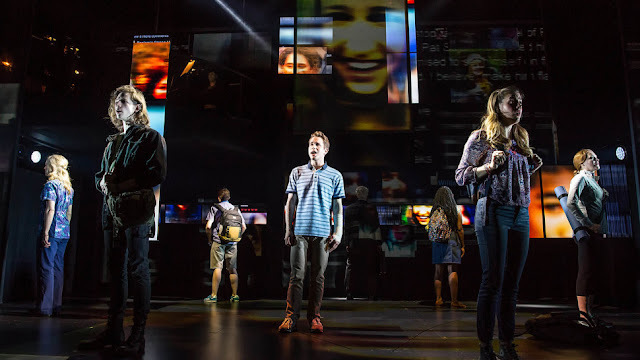 Block (Falsettos) and Rachel Bay Jones (Dear Evan Hansen) are also possibilities. Andrea: It'll be Stephanie or Jenn. Bethany: I'm going with Dear Evan Hansen on this one. Andrea: Again, I want it to be Dear Evan Hansen, but it'll probably be Come from Away. Who knows? 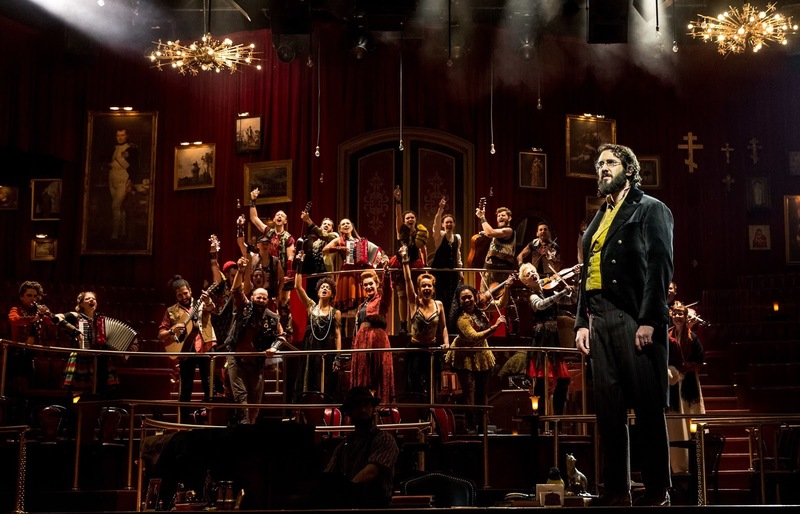 Bethany: I think Natasha, Pierre, and the Great Comet of 1812 has been getting a lot of attention for its score, so I see this one snagging the win. Wildcards are Dear Evan Hansen and Come from Away. Andrea: Come from Away or Dear Evan Hansen. Bethany: I think this could go several ways, but I'm going with Great Comet again. 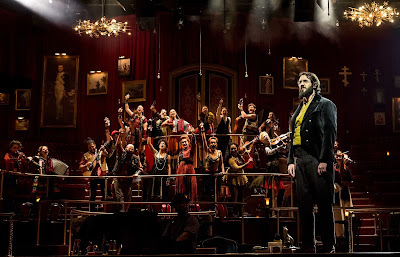 Andrea: Great Comet or Hello, Dolly! Bethany: I'm going with Hello, Dolly! or Anastasia on this one. Andrea: Anastasia, Hello, Dolly!, or Great Comet. Bethany: Great Comet is another big possibility for this one, but I really like the lighting design of Dear Evan Hansen, so I'll go with the latter. Bethany: Probably Great Comet or Come from Away. Bethany: Holiday Inn. The show has a tap number involving jump ropes! Andrea: Bandstand or Holiday Inn. Bethany: Probably Great Comet, though Bandstand could be a wild card with its big band theme. And there you have it. Our predictions. Tune in Sunday to see what we missed and what we got right! What show/performer do you think will take home the big awards this weekend?